Curt has practiced since 1983 in the field of international trade. He advises clients on the full range of international regulatory issues, including civilian and military export controls, trade sanctions and blocking orders, Customs matters, the Foreign Corrupt Practices Act, the USA Patriot Act, Free Trade Agreements, CFIUS reviews of foreign investment in the United States, the Conflict Minerals Rules of the SEC, the antiboycott regulations and the US-EU privacy safe harbor. 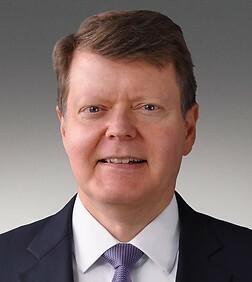 He handles export control compliance and other international matters for multinationals in the telecommunications, computer hardware and software, aerospace and defense, energy, pharmaceutical, chemical, electronics and fashion and apparel industries. Curt has designed international compliance programs and advised on complex questions of international compliance for companies with operations throughout the United States and the European Union as well as in Asia, Latin America and the Middle East. Assisting companies in complying with the detailed export controls on encryption and telecommunications technology is a significant part of his practice, as is the regulatory compliance relevant to outsourcing of design and production activities to India and China. Curt has represented clients in many high-profile international trade cases. In Kuwait, he represented the Kuwait government in the preparation and submission of its Gulf War claims to the United Nations Compensation Commission. Curt has conducted many depositions and other investigative and discovery proceedings overseas and has represented domestic and foreign clients in ICC, LCIA and ad hoc arbitrations in Europe and the Far East as well as the United States. He has addressed international conferences and published articles on a variety of international legal topics. Appointed by the Secretary of Commerce in 2011 to the President's Export Council Subcommittee on Export Administration (PECSEA) as one of the industry representatives advising the Administration on implementation of export control reform, working with the Undersecretary of Commerce, the Assistant Secretary for Export Administration, and the Section Chiefs of the State Department Directorate of Defense Trade Control. "‘Buy American’ And Solar Devices — DOD Clarification"
"The Proposed 2011 Reforms for Parts and Components and the New Definition of “Specially Designed”: A Divine Comedy or a Tragedy Indeed?" "Sheppard Mullin Lures Trade Guru From Bryan Cave"
Partner Curtis Dombek joins Sheppard Mullin.